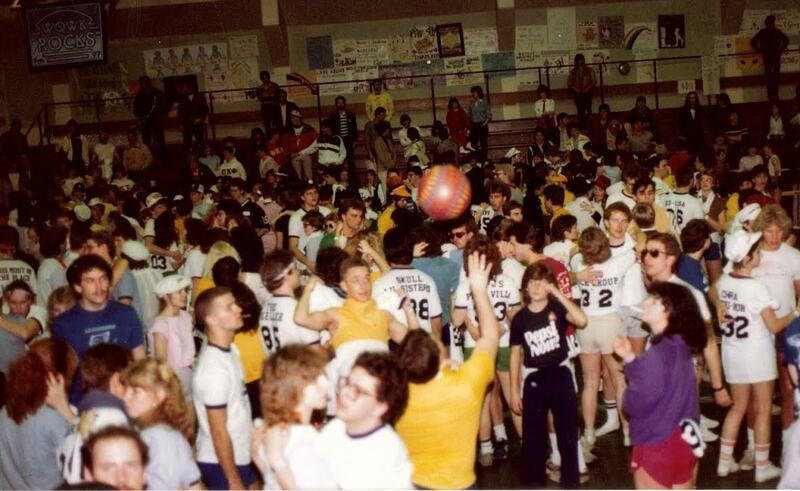 THON was first organized in 1973 by a group of students seeking an opportunity to give back to their community. This idea has since grown into the largest student-run philanthropy in the world: THON. Each year, more than 16,500 student volunteers participate in the year-long fundraising efforts to benefit our sole beneficiary, Four Diamonds at Penn State Children's Hospital. When former IFC President Bill Lear ('72 –'73) proposed a Dance Marathon to raise money for a worthwhile cause, no one ever imagined that it would grow into the largest student-run philanthropy in the world.78 dancers participated in the first Dance Marathon which was held in Penn State's HUB Ballroom lasting 30 hours, raising $2,000+. The Penn State Dance Marathon moved into its new home, The Mary Beaver White Building. The move was made to accommodate its ever-increasing capacity demands. Also new this year, dancers no longer competed against each other. Instead, their shared goal was to remain standing for the entire duration of the event. Penn State Dance Marathon hit six figures for the first time raising $131,182. 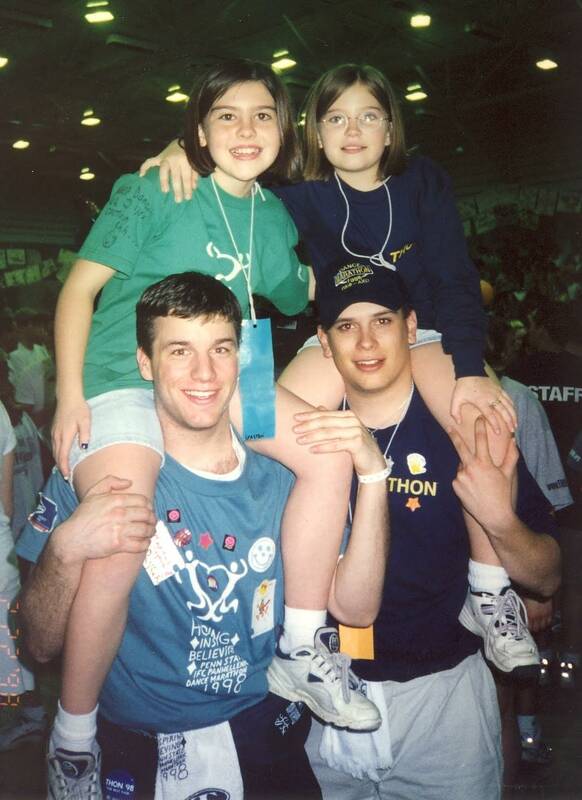 Penn State Dance Marathon was noted for being the largest philanthropy of its kind. 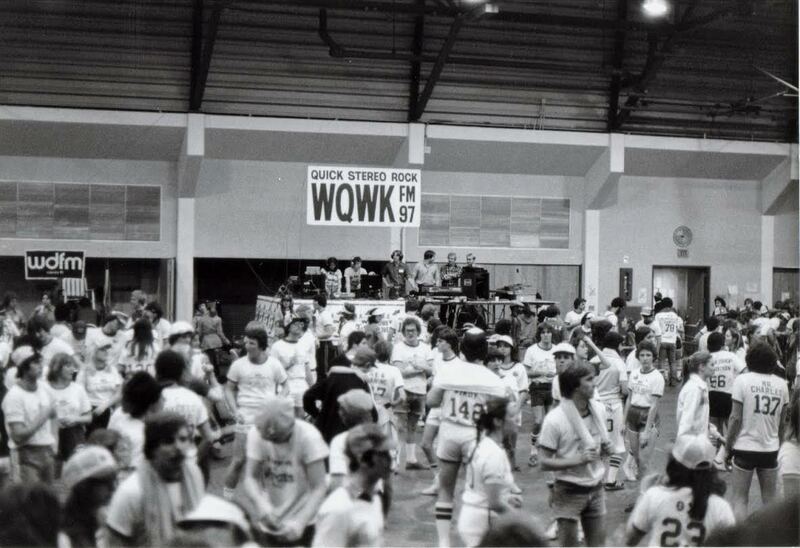 The Penn State Dance Marathon was still 48 hours at this time. As it continued to evolve and grow, more activities were included during the weekend to keep dancers busy for the entire 48 hours. 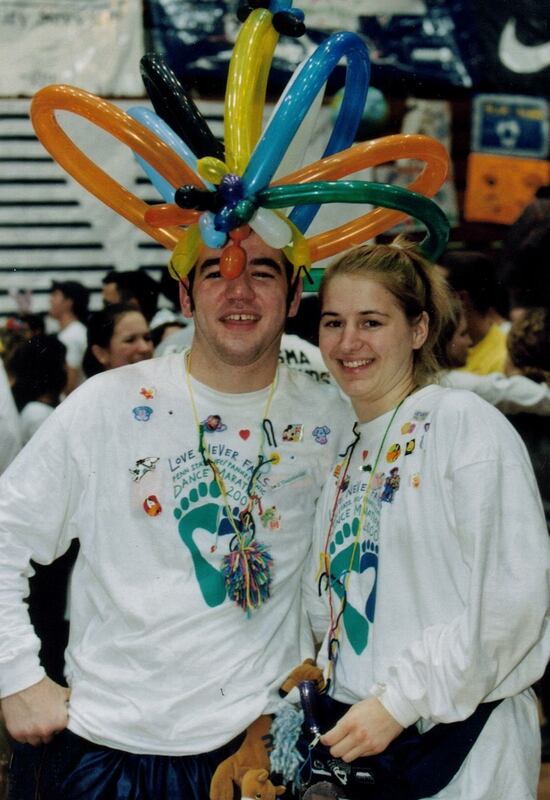 The IFC Dance Marathon adopted the name THON. As THON's popularity grew on campus, so did its fundraising efforts. On Sunday, February 16, 1992, shortly after 7 p.m., Overall Chair John Ferenchak took a deep breath and began to announce the grand total, "One million…” The rest of the number was lost in the eruption that shook the White Building. The exact amount raised that year was $1,141,145.38. It was a milestone that seemed impossible 20 years earlier. 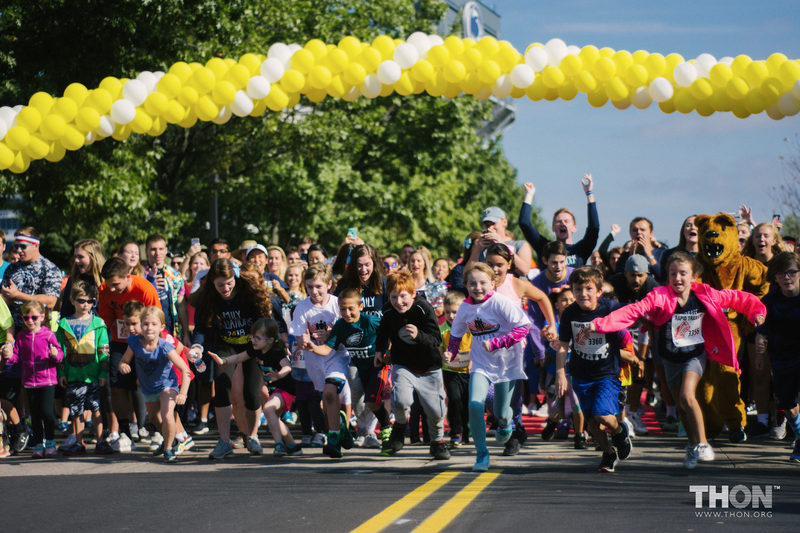 Four Diamonds Families and THON's student volunteers met a few months before THON for the first ever Family Carnival. The Family Carnival has since grown into an annual celebration during which student volunteers prepare carnival booths for the children to enjoy in an interactive day of fun and celebration. Big Move to BJC for THON's 35th anniversary THON's 35th anniversary, in 2007, centered on the “big move” to its new home in the Bryce Jordan Center. With a capacity more 13,000 - double that of Rec Hall - the BJC proved to be a perfect home for THON Weekend. THON raised $10, 151, 663.93! Will Martin (Overall Chair), Jenna Adams (Communications), Michael Ringenbach(Donor & Alumni Relations), Joey Cassidy (Entertainment), Sarah Miele (Family Relations), Jen Stipa (Finance), John Mazzochette (Hospitality), Ryan Patrick (Merchandise), Melanie Sessa (Morale), Michelle Gettle (OPPerations), Cat Powers (Public Relations), Mike Wellner (Rules & Regulations), Lakshmi Kolandra (Special Events), Matt Scorzafave (Supply Logistics), Chris Kessler (Technology), Barry Bram (Advisor). Elaine Tanella (Overall Chair), Charlotte Kohl (Communications), Anuj Upadhyay (Donor & Alumni Relations), Kinjal Mathur (Entertainment), Kaylee Tully (Family Relations), Vicki Marone (Finance), Tommy Scharnitz (Hospitality), Jackie Swerdon (Merchandise), Genifer Goldsmith (Morale), Will Martin (OPPerations), Kirsten Quisenberry (Public Relations), Mairead Hanna (Rules & Regulations), Becky Mayes (Special Events), Patrick Howley (Supply Logistics), Andrew Ogburn (Technology), Barry Bram (Advisor).